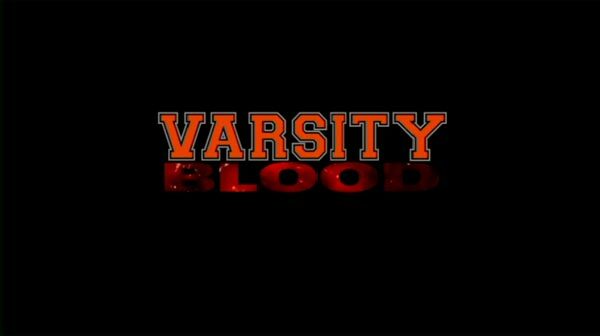 Varsity Blood is just another generic direct-to-video horror flick with bad acting, actors who are clearly not in high school and a plot that’s been seen time and again. The DVD doesn’t have much to offer with no features though at least the video and audio transfers are half decent. This football season, Hogeye High’s Warriors and cheerleaders are out for blood. Unfortunately, someone is out for theirs and they’ll be forced to take one for the team. 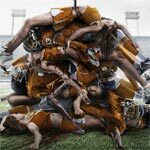 After the big Halloween football game, the students are joined by an uninvited guest dressed as their high school mascot armed with a bow and arrow, a battle-ac, and an insatiable appetite for butchery. They find themselves fighting for more than the winning score as terror becomes the name of the game. The movie is presented with an anamorphic widescreen 1.78 aspect ratio and colors are bright and the blood splatter red. The Dolby Digital 5.1 soundtrack included offers up good dialogue, a powerful generic score and the blood-curdling screams necessary for any horror film. 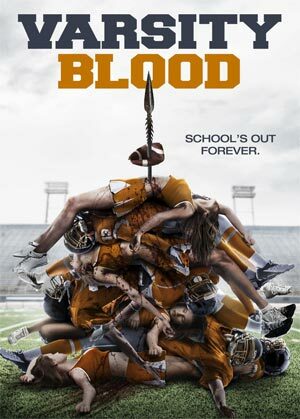 Overall, Varsity Blood is just another generic direct-to-video horror flick with bad acting, actors who are clearly not in high school and a plot that’s been seen time and again. The DVD doesn’t have much to offer with no features though at least the video and audio transfers are half decent.